Caring for someone without getting the space to recharge energy can put a lot of strain not only on the friends and family caring for them, but also the person in need of care as well. It may be needed so you the carer, can look after your own health and wellbeing, and take a break from caring. For example, you may require someone else to sleep in overnight on your behalf, occasionally or regularly, to enable you to catch up on your own sleep. This is where we come in. Br3akfree respite care at home offers all the relief of respite care, but instead brings respite care into the home when this is needed. At the same time, as a customer in need of care, you can be assured that you get all the personal quality care you need, while being able to stay in a familiar home environment. Being able to heal or be looked after without needing to be moved into a care home, promotes better health and happiness. Being able to rely on a quality respite carer, provides relatives the freedom to take breaks and come back refreshed and full of energy, safe in the knowledge that their loved ones are in good hands. 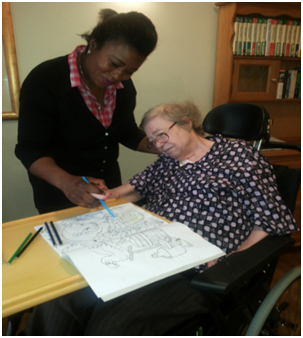 The usual carer is able to take a break without worrying. A positive day to day life without harm or neglect is promoted.